Bluesy soft-clip and nasty hard-clip tube-style distortion, all in one effect pedal for a great price. 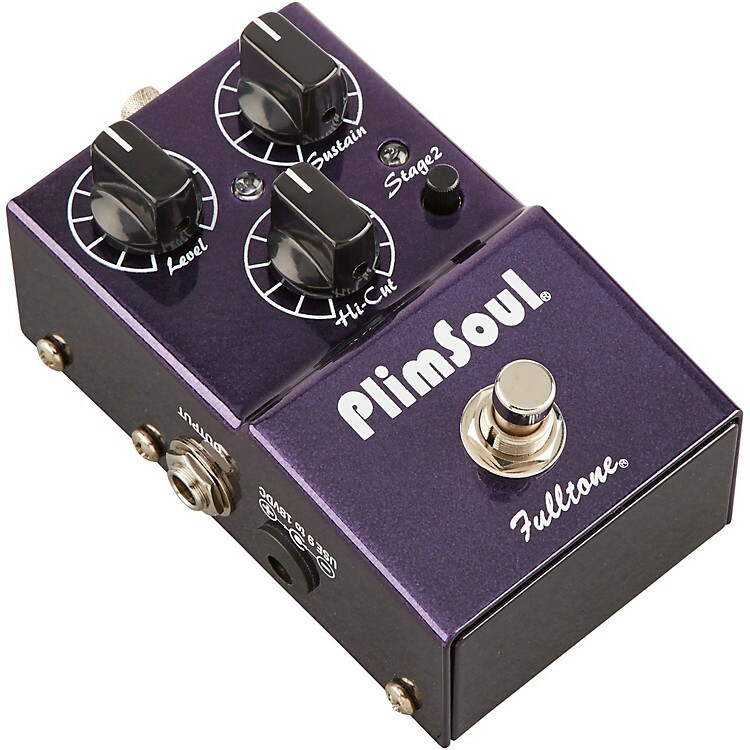 The Fulltone PlimSoul guitar pedal has those softer, bluesey, compressed capabilities but also has a second stage that you can roll in with the turn of a little dial to add that firmer, crunchier, British output tube-style Distortion. What's more is you not only hear and feel it-you can see the Fulltone pedal reacting to your every mood via a fiery LED that glows brighter and dimmer depending on how distorted it is and how hard you're hitting it. All this amazing control for a price that's too good to pass up. Order now!